WOW!! This book was so good I hated for it to end and now I'll have to wait until April for the next in this wonderful series . Can I just say that I love Michel & Sassy Jones, they are the two best characters I've read in a long time. In this book we're introduced to a host of new characters including the wonderful Blue. 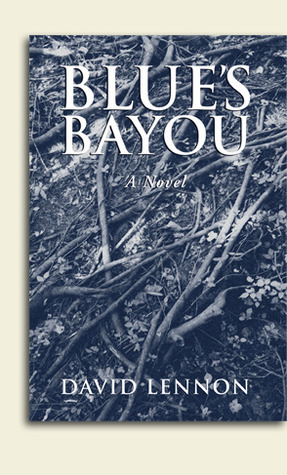 David Lennon delves more into Michel Doucette's mysterious past when Michel goes to the Bayou to help investigate cousin Verel's accused of the murder of a prostitute. This book has so many twist and turns, so many intriguing characters that I won't spoil it by even attempting to describe them. I can only say please go out and purchase this book and you won't be disappointed. David Lennon, you're making me turn into an addict of your books...damn you!! When gay private investigator Michael Doucette returns to his rural childhood summer retreat in Louisana upon his cousin's arrest for murder, he uncovers a town of suspects, a number of family secrets, and conspiracy to strip his cousin of everything. I thought it was well-written but the main character wasn't that engaging -- he was presented just as described, very emotionally closed. But that doesn't make for fiction that carries you along.